You may be looking at increasing security at your home or business premise by identifying visitors, and controlling access through use of Door Entry systems. The equipment we supply, install and maintain will help to keep your building secure. Poorly secured doors anywhere on your premises can put your personnel and property at risk. There are a huge range of door entry systems available. Our expert industry knowledge, alongside our maintenance package, will ensure your systems last longer and conform to the ever-changing regulations and standards. Our expert team can help you decide which one is most suitable for you and your premises. 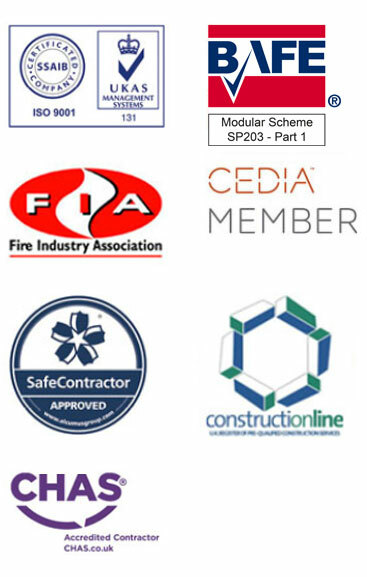 Whilst we are vendor-neutral so we can utilise a system as bespoke as your needs, all of our systems will be designed in accordance with the latest European standards, NSI codes of practice and police requirements. I have no hesitation in recommending Mercury Systems . They are thorough from planning to completion of a job, and the aftercare service is equally professional. Mercury Systems are second to none. Head of Security, Greene King.